The system is designed to deliver more than 5,000 calls per hour and has been successfully used on a number of occasions for incidents such as hazardous chemical releases, missing persons and barricaded persons. The “Hyper-Reach” message delivers critical information to residents and provides guidance on what precautions need to be taken by residents during and after the incident. 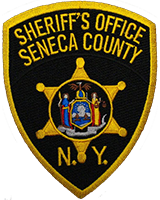 All hard-wired telephones in Seneca County are automatically listed to receive these alerts; however, there is no central registry of mobile telephones so individuals need to register them in order to receive the alerts. To date, only a small portion of the mobile telephone users have signed up for the service. Registration only takes a minute and all information is kept confidential. Users have the option of receiving an audio message, text message, or both along with an email alert. If a user moves, they can use the same method to update their address. You may use the following link, or scan this QR code with your smart phone.